Come make a positive difference in the lives of the youth, adults, and families in our community while developing the values of caring, honesty, respect and responsibility. Are you looking for a fun, exciting way to spend your afternoons? Do you love working with kids? Then spend them working at The Center of Anna Maria Island in our Beyond The Classroom Program. We are looking for an After School Counselor. Must have good character, integrity, and adaptability. Counselors also must have enthusiasm, sense of humor, patience, and self-control. Must have or be willing to get DCF training and CPR and First Aide. Must have a clean criminal background and driving record. Part time. 20-25 hours per week (hours will change during summer camp, all day camps and half days). Work with program personnel to implement engaging, developmentally appropriate, and educational enrichment curriculum and programming which expands and supports student learning experiences. Develop and maintain professional working relationships through effective and timely communication with program personnel. Assist in addressing the ongoing needs of the students and parents. Implement program procedures effectively to ensure the safety of all participants. Observe, monitor, and participate in children’s activities. Transport children in company vehicle to Center from School and to field trips. Promote a safe and healthy environment based on safety standards set within the program. Support the emotional and social development of children. Report any concerns and questions regarding the program (students, parents, equipment needs, supplies, other staff, volunteers, etc.) to Director. Maintain accurate and organized records such as attendance records, timesheets, incident reports, and all other paperwork as instructed by the Director to ensure program compliance and quality operations. Assist in the cleaning and straightening of the room and equipment before, during, and after the program. The Director of Development is responsible for the development and management of The Center’s fundraising and friend-raising efforts, direct mail appeals to current donors and new audiences, and locating and responding to grant opportunities. This position has the responsibility to promote and create awareness about the importance of The Center on AMI and preserving a sense of community here. Assists in the development and execution of The Center’s annual fundraising plan. Assists in planning community awareness campaigns and fundraising events. Executes details leading up to, during and after events. Broadens the financial support base of The Center by attracting new donors through comprehensive fundraising techniques to support the marketing plan. Collaborates with and leads other staff to support fundraising efforts. Proven success in fund development especially individual giving, corporate giving and foundation grant writing. Excellent interpersonal, verbal, and written communication skills. Demonstrated ability to communicate clearly and persuasively, with demonstrated conflict management skills. Strong organizational and project management skills with ability to manage multiple priorities. Demonstrated ability to work collaboratively with various constituents and teams. Schedule: Must be able to adjust work schedule to meet tight deadlines and event or meeting schedules. Attending trainings addressing program disciplines. Planning, implementing, facilitating, and evaluating programming. Assisting staff with programming and administration. Planning, assisting, overseeing and chaperoning group and community programming. Maintaining and gaining experience with various technology, to include management of donor software and volunteer management software. Creating and complete an intern project to be determined from your interests and the needs of the Center. Assisting with both administrative duties, as well as facility/fields management duties as needed. Gaining experience with the administrative aspects of fundraising. Executing the Center Communications Plan to include Social Media Platform management, as needed and when appropriate. Website maintenance as well. 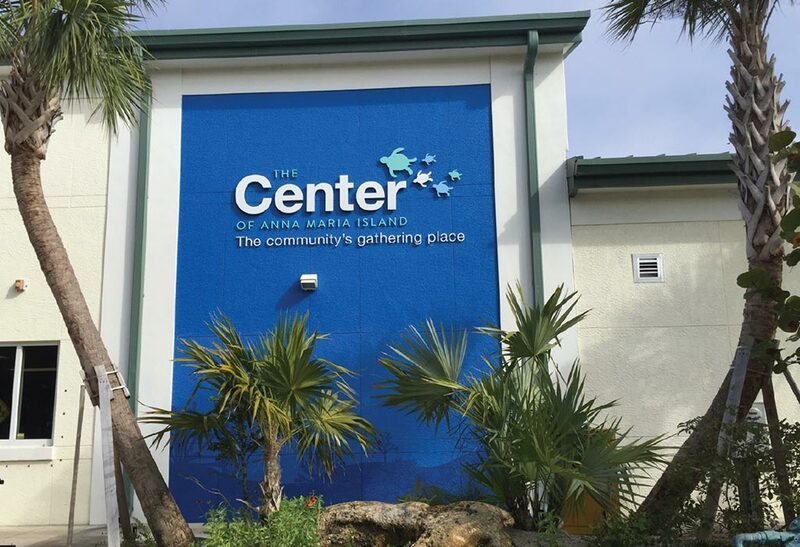 The Center of Anna Maria is looking for individuals interested in helping at “the community’s gathering place”. We are are looking for people to help with coaching, tutoring, events, and welcoming guests at the front desk and more. Why volunteer at The Center? 2. You can help make an impact on the lives of children, seniors, and your community. 4. Be a part of an amazing team and make new friends! 5. Learn something new or teach someone else something new! Interested in sharing your talent and helping out others? For more information or if interested in volunteering please contact chris@centerami.org or (941) 778-1908. Click here to fill out a Volunteer form online or Click Here to print a PDF.